What drew you to the mountain host position? Deer Valley Resort. I have degrees in Tourism Management and Marketing from the University of Colorado, Boulder and studied resorts and hotels that were/are at the top of their game. Working for Deer Valley—which has always been at the top of the game—isn’t a dream anymore, it is a reality! What is your secret to staying warm as you stand in the cold for hours at a time? Paying attention to temperature and wind speeds, mentally preparing and wearing a lot of layers. First Tracks is a small part of our overall role, but it is very, very enjoyable. Guests pay for a private tour experience just before the lifts open to the public. 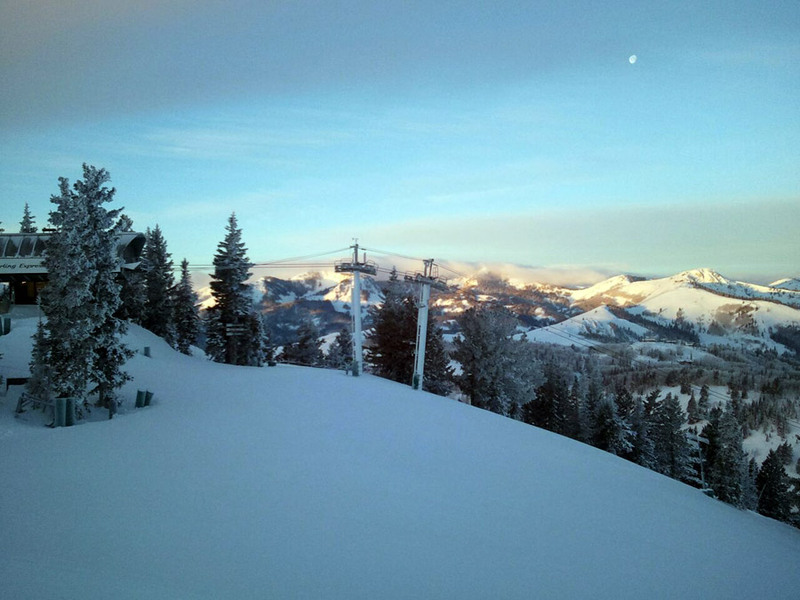 Riding the lift with a small group of guests as the sun is rising over the Uintas is magical. We are ‘pace setters’ and also on the lookout for our guests’ safety as First Tracks takes place while we are still prepping the mountain. What other tours are available to guests? Some guests want to ski with others that are at their same ability. Some are looking for dates that they can ski with! Some are out alone on business or their spouse is in a lesson, and they feel more comfortable skiing with a host and others of their same ability than skiing alone. They end up coming back to skiing again with us because we know their ability, the terrain, where to avoid lines (if any) and we keep them moving. We can cater to their questions, too – where to go for a family meal, where to go for upscale dining and what other activities are in town such as the Utah Olympic Park, snowmobiling, snowshoeing, cross country skiing, and more. 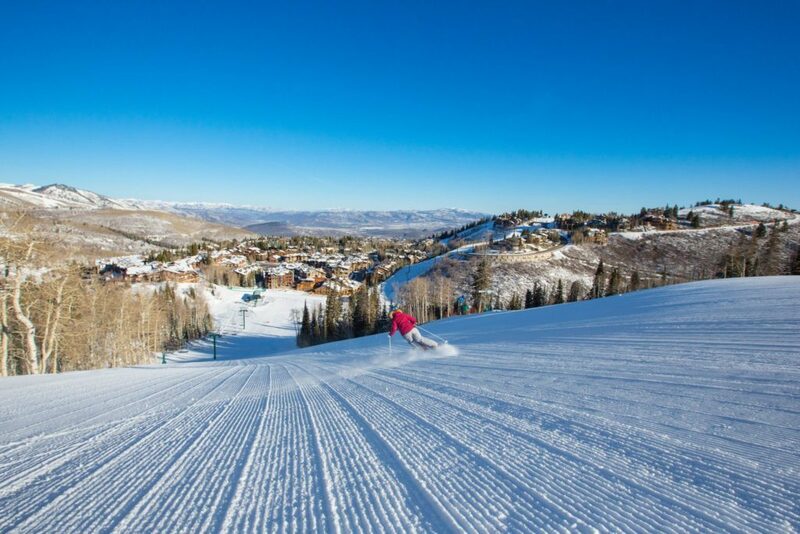 What makes Deer Valley family-friendly for your family? The fact that there are so many choices for ski school is a big deal. Because Shane is so little—he’s three—we set him up for success with lessons on Friday afternoons—because it’s generally warmer on the hill in the afternoon. We are looking forward to sharing quality time together in a sport his mother and father love—and to teaching him to be a safe and responsible skier. This year, I’m having a lot of fun skiing with my wife, Jessica. Now that Shane, is starting ski school, she’s getting back into skiing more frequently—I just bought her some great powder skis and she’s rocking them! Honestly, my perfect ski day starts the night before— I start to get antsy, especially before a powder day. It annoys my wife, because I make sure her clothes are out and there’s no wasted time so we’re out the door with plenty of time to make first chair. I like to head out to Lady Morgan because it’s the most bang for your buck—you take 6 runs, and you are thrashed. Then, I move over to Empire, I always go high up in elevation where the snow is lightest. I’m not eating until I’m pretty much exhausted, and then I take a break in the restaurant and relax and get a bowl of chili wherever we are on the mountain. Thank you, Brian for sharing. What a dream job you have. 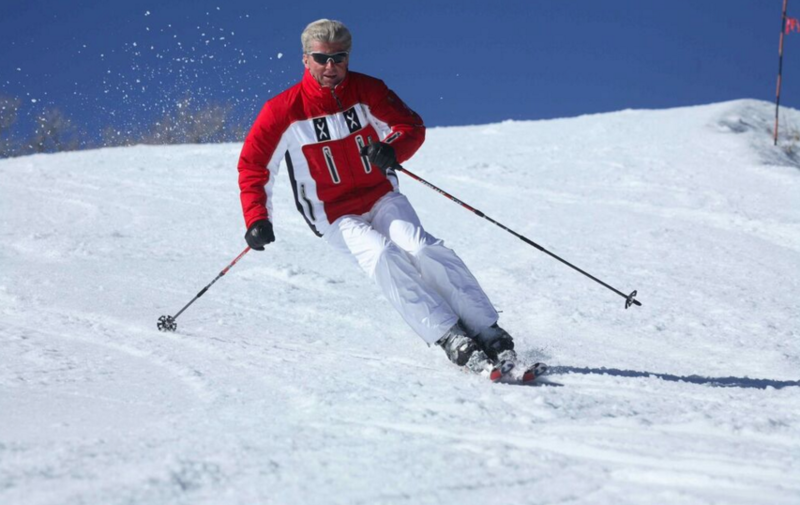 I have skied with Stein Eriksen and was a guest at his lodge and I will never forget that experience. I know exactly how you feel about your job. 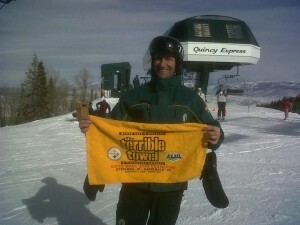 I had a similar job for five years as Publisher of Ski West Magazine. When I skied over 130 days a year, everyday was exciting, no, every run was exciting. Living on the ski hill at North Star I often got ‘First Tracks’. I miss those early mornings, the mountain is so quiet and magical. I would hide in the woods on final sweep then carefully enjoy my last run on the mountain, at sunset, all my myself. I want to recreate that magic, can you help me? I know what you mean about wearing layers, I was a Sharp Shooter at Mammoth and stood on the Mountain taking pictures. I think four layers was my max. For the past nine years I have been on Oahu, working on a sail boat as a naturalist. Last summer I worked in Juneau, Alaska as a naturalist. They want me to return after Easter. I learn facts quickly and love sharing. 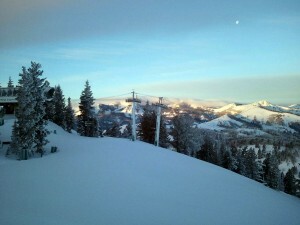 My ‘Dream’ winter job would be as a Mountain Host at Deer Valley. Once I’m hired, my training won’t go to waste because I will return ever winter to do what I love as much as sailing and that is skiing! Since I didn’t see a job as a Mountain Host I applied at the Montage as a Concierge. I have gone to the Chambers’s site to learn about facts on Utah and Park City. Do you have any recommended reading material. In Juneau I learned from the two museums in town and went on the same tour I was to give. That’s the best way for me to learn. I think I would be perfect as a Concierge (just applied yesterday, 1/21), but would prefer being a Mountain Host for Deer Valley. I am ready to start within days. I am staying at my father-in-laws in Washington State until I find the perfect winter job. 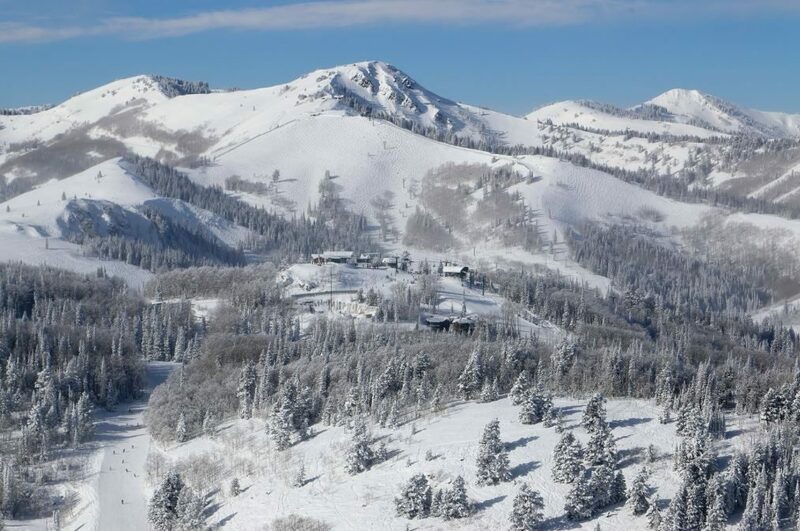 Working for the best Ski Resort, Deer Valley would be the PERFECT winter job. Thanks for sharing, your blog reminded me that ‘Dream Jobs’ do exist! Skiing and sharing facts with guest fulfill that Dream. Currently the Mountain Host staff is full. I will pass your comments to our Mountain Host director. Keep an eye on the website this summer when we post winter job openings. Tanner HIgman is interested in becoming a Mountain host. He will be 15 in two months. His father, Michael HIgman, who recently passed away , was a host at Deer Valley and Tanner would very much like to continue the family tradition. The family and I were great friends with Bob and Patti Wells. Any consideration would be greatly appreciated.